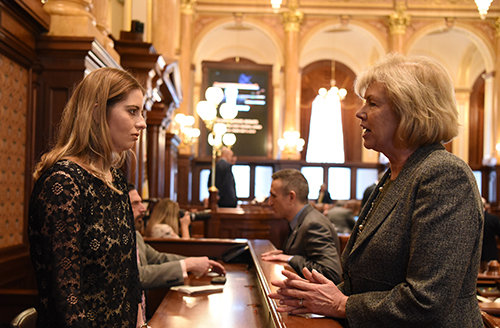 SPRINGFIELD – Illinois is one step closer to joining a growing list of states that have raised the age to legally purchase tobacco to 21 under a plan sponsored by State Senator Julie Morrison (D-Deerfield) that passed the Senate today. 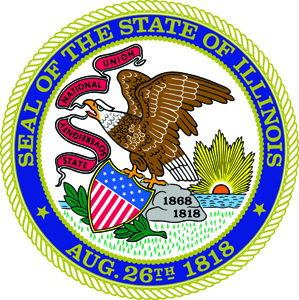 SPRINGFIELD – Individuals with disabilities who for years have worked to take care of state office buildings are concerned about their future after recent news that the State of Illinois has hired a private property management firm to manage several state buildings. That firm was hired under a contract that was signed by the previous administration in October 2018. State Senator Julie Morrison (D-Deerfield) recently raised her concerns to Central Management Services (CMS) after hearing the private firm was terminating several State Use Program contracts. The State Use Program provides long-term employment opportunities for individuals with disabilities that work for qualified non-profits. “What kind of example is the state setting with this kind of policy? Pushing aside dedicated individuals who for years have diligently worked on behalf of taxpayers is unfathomable,” Morrison said. Recently, a provider agency that has a program in Rockford was notified their state contract would be terminated due to the new firm assuming management responsibilities. The new firm, Jones Lang LaSalle, is the largest publicly traded commercial real estate brokerage firm in the world. 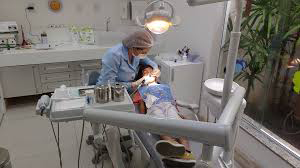 SPRINGFIELD – A proposal by State Senator Julie Morrison (D-Deerfield) to expand dental insurance coverage for anesthesia provided to patients with an autism spectrum disorder or developmental disability advanced out of the Senate Insurance Committee this week. Senate Bill 111 would require health insurance companies to cover anesthetics provided with dental care to patients who have been diagnosed with an autism spectrum disorder or who have a developmental disability. The proposal would require coverage until an individual reaches 26 years of age. Currently, the insurance mandate expires once an individual reaches age 19. “For the past few years, Illinois has careened from crisis to crisis without a stable budget plan in place. Today’s speech by Gov. Pritzker shows Illinois has a leader who is up to the task of bringing stability and certainty back to Illinois. “I am pleased to see the governor address our human service network and specifically detail his plan to ensure individuals with disabilities don’t languish waiting for state services and programs. His proposal to reduce plastic bag waste and decrease cigarette access are also both worthwhile policy proposals that I look forward to discussing.